The best kind of invasion–an usual bird invasion! 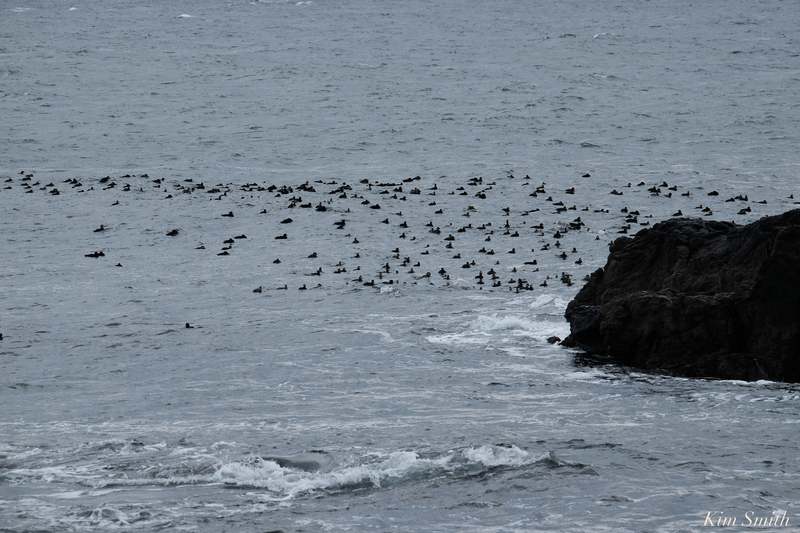 The flock of male and female Black Scoters was fairly far offshore at daybreak. Later in the day I checked back on the scoters and they were continuing their southerly directed swim along the shoreline, but a little closer to the rocky coastline. Oh how I wish we could see them really close-up! I call them little because they are the smallest of the three scoters we would see in our area, the other two being Surf Scoters and White-winged Scoters. Even from far off shore I could hear their soft whistling calls. 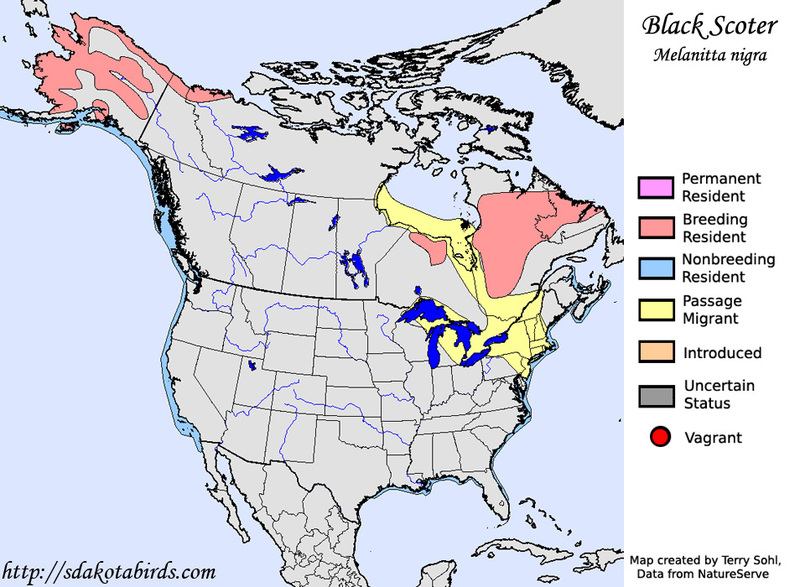 The little Black Scoter breeds in the northern tundra, wintering along both the East and West coasts, as well as the Gulf of Mexico. This beautiful little duck is a species thought to be in decline, namely because of its susceptibility to oil spills and pollution. 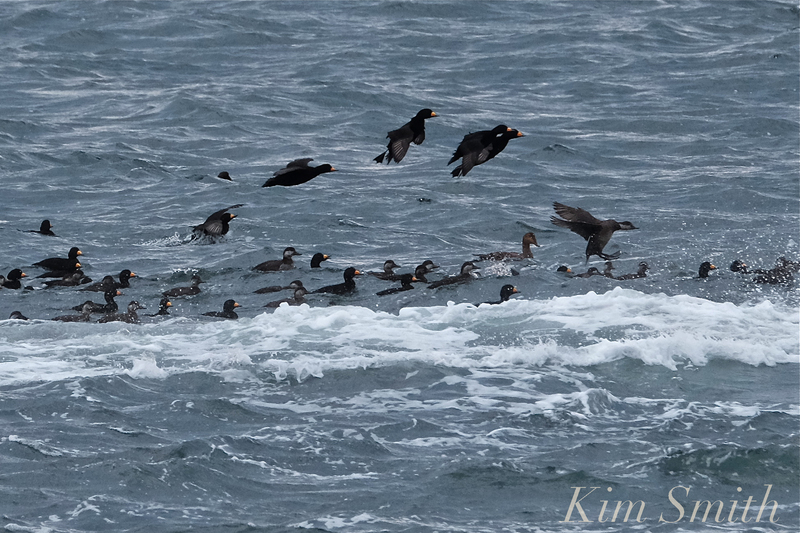 This entry was posted in Birds, Birds of New England, Eastern Point, Gloucester, Life at the Edge of the Sea and tagged Beautiful Birds of Cape Ann, Black Scoter, female Black Scoter, Gloucester Massachusetts, Kim Smith, male Black Scoter, Melanitta nigra on November 23, 2018 by Kim Smith.